As a property investor seeking to make the most from your portfolio, every little aspect counts, right? When it comes to finance in particular, maximising your borrowing capacity, having the right loan structure and product(s) and saving money wherever possible are top priorities. So wouldn’t you like to know some of the banks’ secrets that could potentially save you thousands? Here are some things to look for when considering a loan that the banks might not want to tell you about. If you approach a lender on your own to source a loan, who do you think they are going to look after; their shareholders or you? Banks are a business and like any business, they’re out to make maximum profits. As such, a lender is not necessarily going to be completely upfront about the best potential product for you. Additionally, giving you a range of product options can mean more work for them, or even the prospect of you looking further afield at what other finance providers have to offer, hence they risk losing your business entirely. This is why a mortgage broker can be an invaluable ally when it comes to sifting through not only all of the various lenders, but the hundreds of loan products available. A good broker should be objective and willing to put your needs first. They should sit down with you, work out your requirements and then find the product that is the best fit for you. Many home owners dream of one day using their own home as a stepping stone to climb the property investment ladder. But what the banks won’t tell you when you apply for your home loan is that how you structure the finance on this initial purchase can make a big difference to your ability to take the next step and leverage into an investment property. Generally, the best approach for a home owner looking to become an investor is to save a large deposit – say 20%, then borrow the maximum LVR of say 90%. Then you keep half of your initial deposit in an offset account, allowing you to maximise your debt, while minimising your interest repayments. 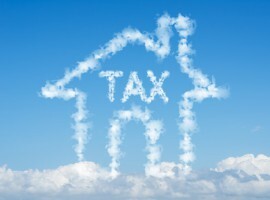 Then when you upgrade into your next home and keep your first home as an investment property, you can enjoy better tax advantages as that property still has a high level of debt attached to it. And even better – you have the extra 10% that you initially kept in an offset account to put toward your new home. Don’t put all of your eggs in the one basket! A lot of lenders encourage cross collateralisation when it comes to property finance. Of course they want you to give them all of your business so they have all of your security under their control. But this rarely benefits the borrower. Having all of your properties under the one loan gives the bank ultimate power over your portfolio, as well as your family home. For instance, if the value of one or two of your investments happens to fall and drag the overall value of your portfolio down, even though you might have other top performing properties with loads of equity, the bank can deny an application for refinance based on the overall value of your properties. Additionally, they can decide which property to sell should you default on your loan and potentially sell your family home out from under you. Whereas if you have stand alone mortgages, you have the power to choose what to sell, when to sell and which properties you should borrow against to grow you portfolio. If you believe your property portfolio will generate strong capital growth, it can be beneficial to set up a cashflow buffer in the form of a Line of Credit account. This involves borrowing against the equity in an existing property and establishing an account that you can access should the need arise. Perhaps your property remains vacant for an extended period, or large unexpected maintenance bills crop up. With a LOC, you can cover such expenses and keep your cashflow under control. The good thing about such a buffer is that you only pay interest on the amount you access, when you access it. Of course for the banks, this means losing out on potential interest repayments and thus profits. So you can see why they like to keep this little gem to themselves! Have you ever taken out a fixed rate loan? If you read the contract on a fixed rate loan carefully, you’ll find a formula to calculate the break costs should you choose to pay out this loan early (either by paying down the debt or refinancing), that Einstein himself would struggle to work out! In fact even the lenders themselves have trouble giving borrowers a clear answer as to exactly how much it might cost to exit a fixed rate period early. They certainly don’t readily tell you before signing on the dotted line that quite often the penalty payable could amount to thousands of dollars. Essentially, the higher the gap between the fixed and variable rate at the time you break, the more it will cost you. For this reason, you need to be 100% certain that you won’t be looking to take an early exit from a fixed rate loan should you decide to go with this option. In the same vain, while the banks are legally obligated to specify any exit fees should you decide to settle your loan before the contract end date, as well as ongoing administration charges; they will certainly avoid drawing your attention to such costs and just how expensive they can be. Ask questions and get your lender to explain any fees, as well as the loan terms to you in plain English before you commit to anything. You should also keep in mind that if you intend to give the lender ongoing business as you grow your portfolio, you have every right to negotiate their fees down. While most lenders will require that you pay LMI should you seek to borrow more than 80% of the purchase price of a property, what they won’t tell you is that LMI costs can vary greatly from bank to bank. Having to pay LMI is not necessarily a bad thing, as it means you can make the most of your borrowings and essentially buy more assets, but you should still shop around to see how much the LMI is for the various lenders. 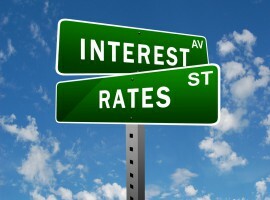 Often banks will have basic loan products available, which offer lower interest rates but very little in the way of “extras” as well as professional loan packages that come with all the bells and whistles, such as a pre-approved credit card, linked offset accounts and a transaction account. While all of these trimmings might benefit some borrowers, others might gain more by saving on their interest repayments with the basic product. Of course the banks would prefer that you take up all of the extras, as this means they increase the amount of products they sell. If you would like more information about the inside scoop on what lenders know, but might not be prepared tell you, Metropole Finance would be happy to assist you. We can give you free advice on your borrowing capacity and help you navigate the maze of property finance, as well as the hundreds of products on the market, to ensure you get the best possible loan(s) for your requirements. Please click here for an obligation free financial assessment.